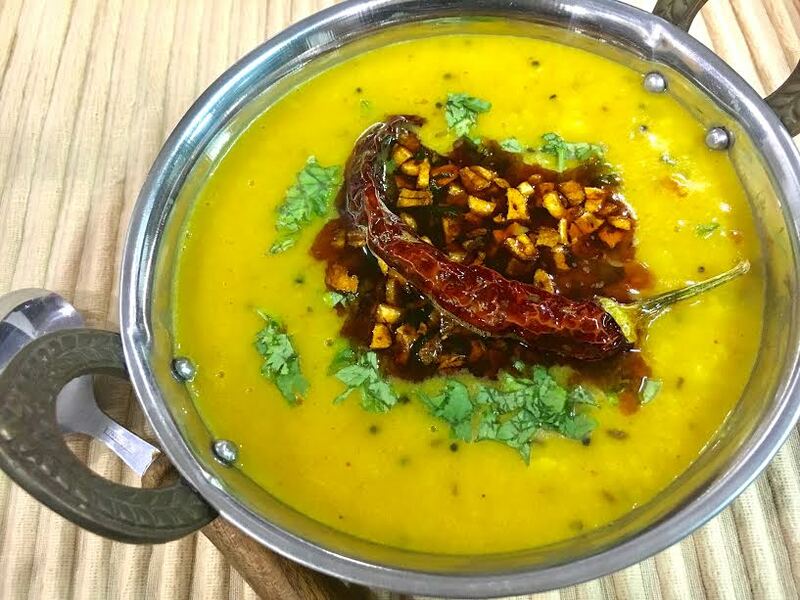 Dal tadka is the most common dal which will be found in almost every Indian thali, albeit in different avatars. 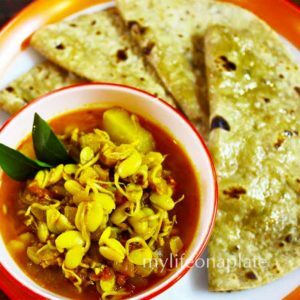 It is simple to make, fast to cook, nutritious and tasty as well. 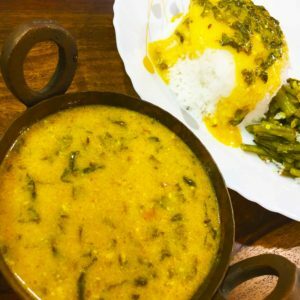 It tastes best with plain steamed rice. Soak the toor dal for 20 minutes. Pressure cook till soft using double the quantity of water. Heat oil in a non-stick pan, add mustard seeds, turmeric, asafoetida, dry red chilli, garlic pieces. Brown them and remove the seasoning in a bowl. Now transfer the dal into the same pan and heat for 5 minutes. Add the tadka/ seasoning just before serving. Garnish with chopped coriander leaves as well. 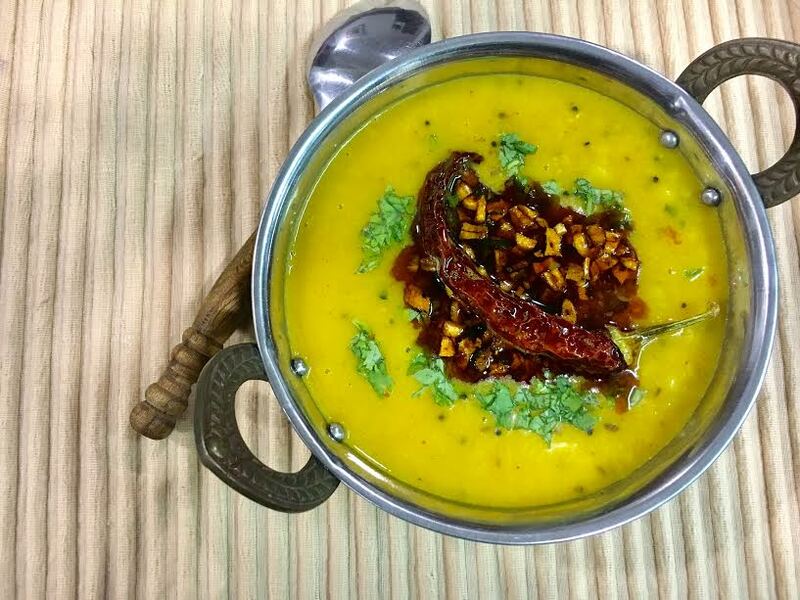 Note :Before pressure cooking the dal, add a pinch of turmeric, asafoetida and a drop of oil to the water. 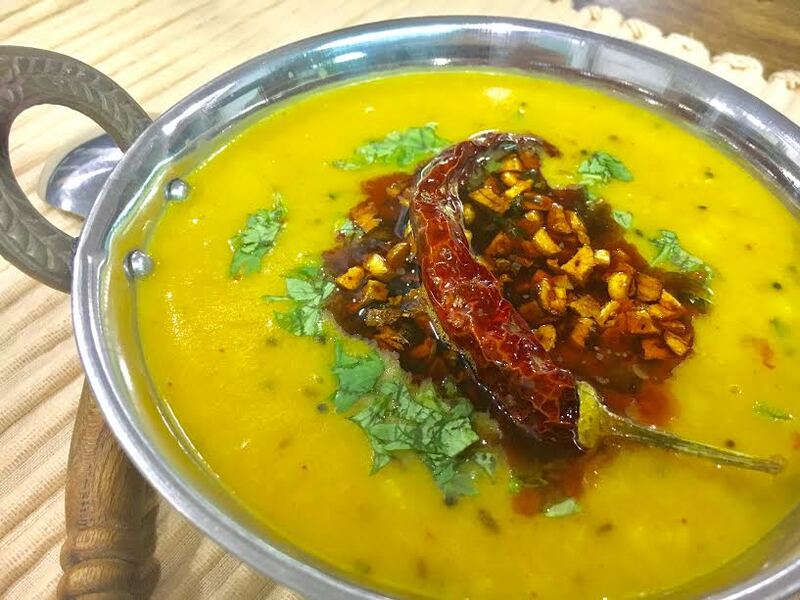 The dal cooks faster and blends well too.